JUNE 15 AT SAINT ANDREWS GOLF CLUB IN HASTINGS-ON-HUDSON, NEW YORK ONLY 18 MILES FROM MANHATTAN! Saint Andrews, a Jack Nicklaus signature golf course, is the longest continuously operating golf club in the United States and home to the first U.S. Amateur and “Open” Championships. Leave Your Email Address Below To Receive Details And The Link To Sign-up! SPONSORSHIPS, JOURNAL AD OPPORTUNITIES AND FOURSOME SIGN-UP INFORMATION WILL BE COMING SOON! And Remember That If You Can’t Attend, You Can Still Support Heroes To Heroes By Buying A Foursome So That Our Veterans Can Attend And Play! Provide Your Email Address Below And Stay Up To Date! Heroes To Heroes Foundation, through spirituality and peer support in conjunction with journey’s to Israel, successfully helps combat veterans who are at or very near the end of their ability to cope suffering with PTSD, moral injury and traumatic brain injury. By journey’s end the vast majority will have found the strength to open-up emotionally and finally begin the process of healing. And, due to the fact that we are primarily volunteer approximately 90% of donations go directly towards accomplishing our mission. Learn more about the Heroes To Heroes Foundation here. 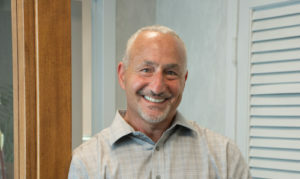 Neil Garfinkel (212) 201-1173 ngarfinkel@agmblaw.com Abrams Garfinkel Margolis LLP.